A Flame Flickers in the Darkness now available at Fishpond! Winter is here and the shortest day is just around the corner. We have had some cracker bluebird days and some good weather over Queen’s Birthday weekend. Well done to Her Majesty. I have been out and about on a couple of winter fishing trips in the past few weeks, including getting Tuatara out for her mandatory winter’s voyage. Both times, we needed to start early in the morning to catch the tide and I definitely remember thinking, “I don’t want to get up early because its cold and dark,” but I am pleased that we did – the Snapper are in close and we had a feed within an hour. You just need to harden up a bit in winter, bite the bullet and get out there. I also had a spear – the water was cold and clear and a couple of rat Kingys were spotted, but nothing to warrant a shot. It was great to be in the water and it brought home the importance of a good wetsuit, not an old spring-suit with holes in it. I spent Queen’s Birthday on the wild West Coast of Northland – what a spot. Its good old school New Zealand, fishing off the beach, a couple of beers in the evening and a fire, plenty of laughter and banter. 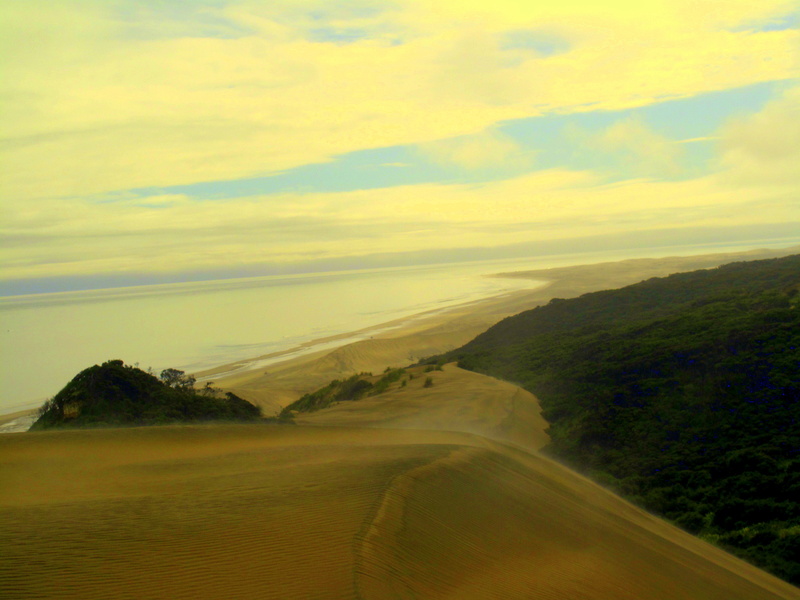 The coast from Pouto north to Dargaville is definitely worth checking out. The walk out to the Pouto Lighthouse is truly spectacular. Re the book, ‘A Flame Flickers in the Darkness’ is now available on Fishpond, Australasia’s No 1 book website. Fishpond are currently offering a great deal on 15 copies of my book or novel. Check it out here! Please also feel free to Contact Me. Come on the All Blacks this weekend!